40mm and rewa like this. From first glance it looks like it's running as similar suspension set up as the 6x6 conservsions going on in Australia.... I wish my pockets were deep enough! gadgetman, ROKTOY, xtightg and 1 others like this. bit out of my price range think I will still build my own. I'm with you. At most I'd go for a compact tear-drop set up. They're just not that suited to this country really. Macauly river in October/November anybody? A good mate has towed a lifted pop top camper trailer up to Macaulay Hut mid winter in heavy snow, looks funny when the 29 inch wheels sink in the snow covered ditches, worked well as a toboggan. 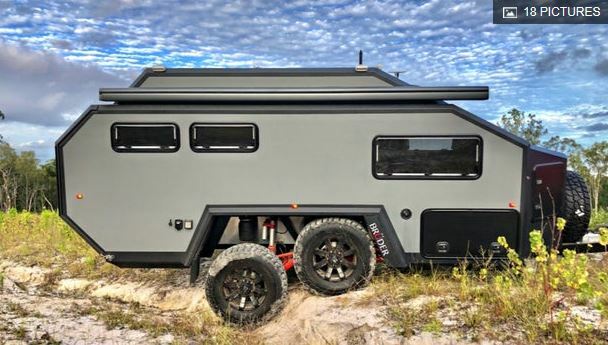 Has anyone ever built a caravan?